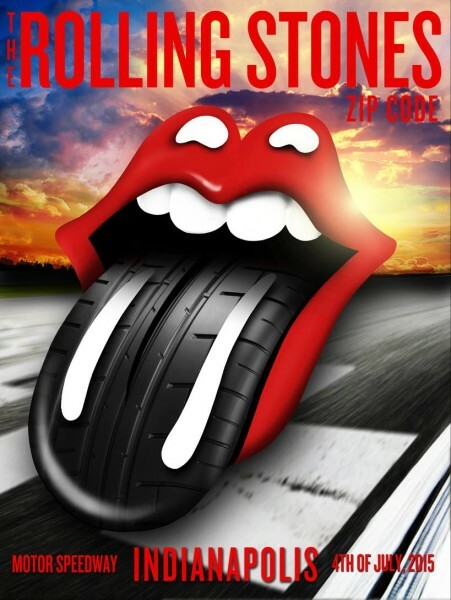 This thread is for live updates and comments regarding The Rolling Stones Indianapolis IN USA 4-July-2015 show. Please tell us your pre- and post-show thoughts and comments here. Indianapolis is on Eastern Standard Time in America. Add 6 hours for Central European time, add 5 hours for UK time and so on. Edited 1 time(s). Last edit at 2015-07-04 16:49 by bv. Heard that there is no sound check today. anyone else hear about this? I will see in gold Irix, I wish I had gotten my tickets from the speedway instead of ticket master, I just got a plain boring ticket. Taking two of three of my boys to their first show tonight. Despite the iffy logistics and exceptionally crappy choice of opening group(WTF where the stones thinking) I am really excited. They did miss a huge opportunity to get two or three good bands to open and make a day of the whole thing. its an exceedingly large vip section. OK, any bars got The Stones' theme going? The bar by the stadium in Raleigh did a great job, but some cities were pretty lame. My guess is Let it Bleed. Hopefully, without Rascal Flatts on it. "Guitar techs are checking out the sound @IMS. 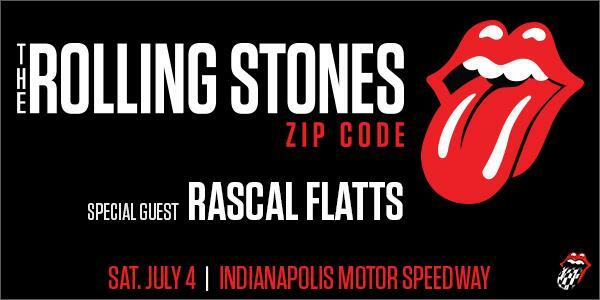 #StonesIndy"
what's the deal with Rascal Flatts dividing opinion so much? I'd never heard of them, but just checked out one track. Sounded like a boy band and looked like a fat uncle band. That (extremely dull) thing from the indystar website says that a lot of people arent happy with RF as the opener. Think you might have somewhat answered you own question. From a very personal perspective, I always try to catch the opening acts with an open mind, generally prefer to hear of ones I know are going to be good. I think in the case of Rascal Flatts they just represent about everything the Stones don't. Polished, manufactured country flavored pop as opposed to messy but timeless Rock and Roll. Just not a good musical match. Just too obviously something being forced on them by the promoters. Perhaps they will change their set and try to rock out a bit but if they play their normal stuff I've heard they will put the crowd to sleep before the Stones go on. I'm not going to be too judgmental until they play their set, who know, they might be rockers at heart and only playing their cheesy pop style to make a better living. I hope so for the Indy fans sake. I've never heard of them before, and when I read some comments on this board I tried to listen to their stuff and didn't liked at all. I hope too that they can make a good set, but who knows? Let's see what happens, and I wish the best for everybody who's going to Indy tonight. Soundcheck has been 5-6 PM the whole tour so it was almost for sure just line checks by the crew. Any word on expected attendance? 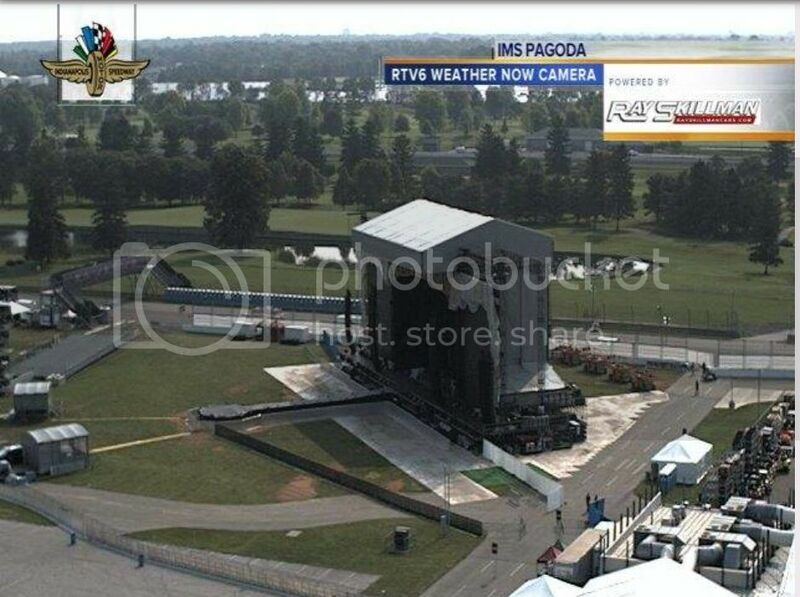 Gates open at 4, so there's no way soundcheck could be 5 or 6. Maybe no soundcheck tonight? You're right! Perhaps we'll get the band schedule again and find out. Guess it's still possible for a soundcheck at 3-4pm or something. If not JJF or SMU will have to be the check. They should have things pretty well figured out at this stage of the tour and can always practice a bit backstage if necessary...besides, it's not like any of the vote songs should be much of a challenge for them. I read the soundcheck with the techs was around 2pm. @InHisName_novel has been Periscoping off and on this afternoon from the speedway. He's close to the stage but his connection keeps dropping.